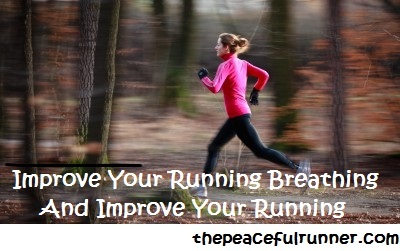 How is your breathing while running? Do you breathe deeply into your lungs or are your breaths rapid and shallow? Is your breathing relaxed, smooth with an even rhythm or are you gasping with each breath? Do you use your mouth, your nose or both? 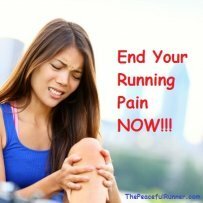 Do you often develop painful side stitches? Read on to learn how to improve your running breathing and your running efficiency, how to stop painful side stitches, how to strengthen your diaphragm and reduce the risk of injuries. 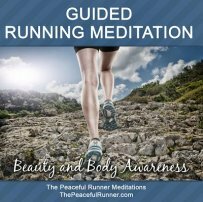 Take a few deep and slow breaths before you start running to relax your mind and body. Being relaxed makes breathing deeply easier. It is important to breathe deeply into the lower lungs to supply your muscles with the oxygen and energy they need to perform efficiently. Belly breathing will help you breathe deeply, prevent painful side stitches and strengthen the diaphragm. If you breathe using only the upper chest and your breathing is shallow, you are probably not getting enough oxygen. Your breathing may become quite labored at times particularly when you are expending more energy, e.g. doing speed drills, running uphill. Upper chest breathing can also cause your shoulders to tense--wasting precious energy. Your shoulders should be back and your chest open for efficient breathing and maximum oxygen intake. Having a strong diaphragm will help your breathing while running. The diaphragm is the muscle that separates the chest from the abdomen. Strengthen the diaphragm by taking slow deep breaths into your belly using your nose. Belly breathing contracts and strengthens the diaphragm and allows you to inhale more oxygen and exhale more carbon dioxide. Belly breathing will help you breathe more efficiently and provide the energy you need to run, so you won't tire so easily or feel like you are running out of breath. As belly breathing uses the stomach muscles to contract the diaphragm, over time you will probably notice a leaner, flatter tummy. What more incentive do you need to give belly breathing a try? Belly breathing can be a difficult technique to learn, so you will need to practice. Place your hand on your belly. When belly breathing correctly, you will feel your tummy push out as you inhale and back in when you exhale. To ensure you are doing this correctly, try what I refer to as "forced belly breathing." To do this, completely exhale all the air from your lungs. Then when you inhale through the nose, your breath naturally goes to your belly. Practice this at home as it can be difficult at first to practice during running. With practice it will become much easier to belly breath while running. Eventually, it will become your natural method for breathing while running. You will be able to enjoy a more relaxed and efficient running method with reduced occurrences of side stitches and injuries. To learn more about how to improve breathing and running, check out Budd Coates book, Running on Air: The Revolutionary Way to Run Better by Breathing Smarter . Budd Coates is a renowned running coach. 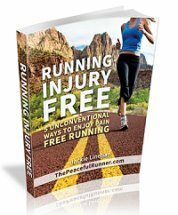 In this book he teaches a revolutionary and simple training method based on rhythmic breathing and demonstrates how focusing on breathing brings the mind and body into harmony for stronger, faster and more comfortable running. 5 Ways the Buteyko Breathing Method Can Improve Your Running and Your Health!